The harmonica is a popular handheld mouth-blown instrument used in many genres of music, including rock, blues, bluegrass, folk and country. The two basic types of harmonica are the diatonic harmonica and the chromatic harmonica. The two types produce different kinds of sounds and are favored in different styles of music. A chromatic scale is a Western music scale containing 12 evenly spaced notes. The distance between each consecutive note is defined as a half step. A diatonic scale, also known as a major scale, consists of seven notes that produce the familiar do-re-me sequence. These notes are separated from each other by a combination of five whole steps and two half steps. Each hole on a harmonica produces two different notes: one note when the player exhales through the instrument and a different note when inhaling. Chromatic harmonicas contain more notes than diatonic harmonicas and, as such, contain more holes. A diatonic harmonica typically has 10 holes, while a chromatic harmonica has either 12 or 16 holes. 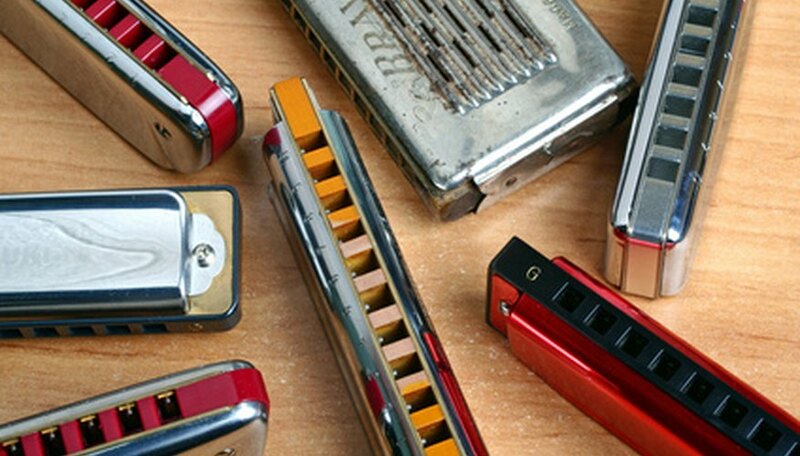 Diatonic and 12-hole chromatic harmonicas are available in several different keys, while the 16-hole chromatic harmonica is only available in the key of C. The tuning of a diatonic harmonica is called Richter tuning, and the tuning of a chromatic harmonica is referred to as solo tuning. While chromatic harmonicas produce more distinct notes, diatonic harmonicas allow players to "bend" notes by partially covering the hole. This bending effect is popular in blues, country, rock and folk; the more distinct tones of the chromatic harmonica are preferred for classical, pop and jazz music. Diatonic harmonica players often use music tablature (tabs), a form of musical representation based on the instrument's design, to learn new music; however, because the design of the chromatic harmonica differs from that of the diatonic harmonica, different tablature is needed. Many chromatic harmonica players prefer to read standard music notation, thereby eliminating the need for tabs. HarpLog: What Is a Chromatic Harmonica? Harp Log: What Is a Diatonic Harmonica?